Marijuana is currently classified by the federal government as a "Schedule I" controlled substance, the most restrictive of five categories. Schedule I substances are considered to have a high potential for abuse, no accepted medical use and a lack of accepted safety for use of the drug. Other drugs in that category include heroin, LSD and PCP. Less restrictive "Schedule II" substances include cocaine and methamphetamine. Previously, the AMA recommended marijuana remain a Schedule I controlled substance, but it now believes the substance deserves more clinical research. "Despite more than 30 years of clinical research, only a small number of randomized, controlled trials have been conducted on smoked cannabis," Dr. Edward Langston, an AMA board member, told the Los Angeles Times. Limited studies, he said, are "insufficient to satisfy the current standards for a prescription drug product." The White House drug czar's office gave a muted response to the AMA's recommendation, the LA Times reports, saying it would defer to "the FDA's judgment that the raw marijuana plant cannot meet the standards for identity, strength, quality, purity, packaging and labeling required of medicine." While the Obama administration opposes legalization of marijuana, the Justice Department last month announced it would no longer pursue prosecution for state-sanctioned medical marijuana sales. 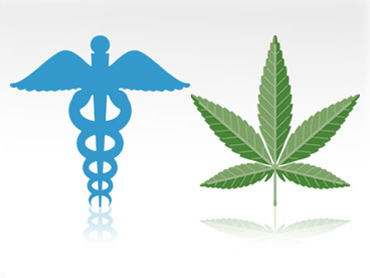 As many as 13 states now allow the use of medical marijuana. The debate over whether to legalize marijuana all together seems to be gaining steam. A Gallup poll last month showed a record 44 percent of Americans now support legalizing marijuana. Meanwhile, California residents may get to vote on a 2010 ballot measure to legalize the drug in the state. Point-Counterpoint: Should Pot Be Legal?